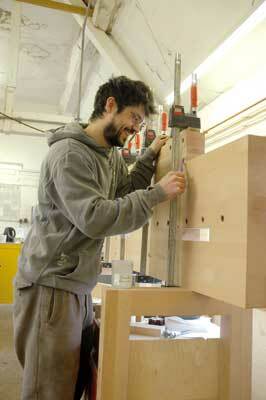 Around 1m high works for most people doing our sort of work; 2m long x 0.6m deep is a size that fits our workshop layout. 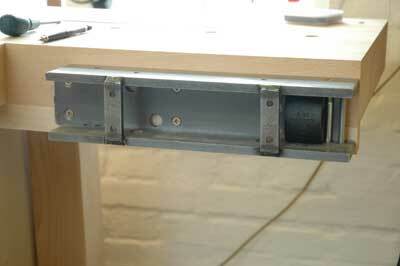 We retained a tail vice because we've grown used to them. 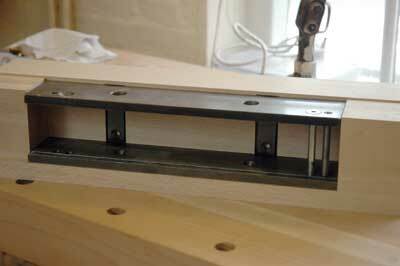 The tail vice mechanism used is from Dieter Schmid at www.fine-tools.com and the vice with a (short) 350mm opening was 96.64 Euros. 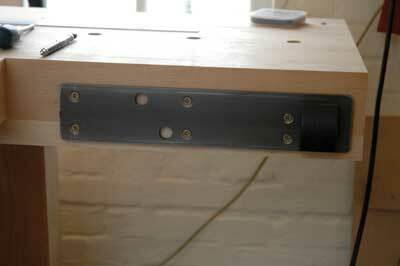 We chose this vice mechanism because it is a complete kit made to a pretty good standard. 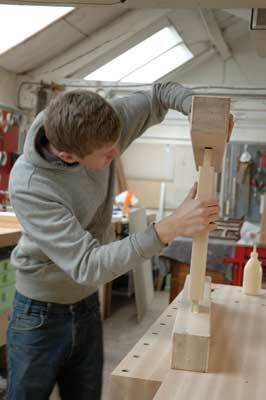 We have made tail vices completely from wood in the past but found they take longer to install. 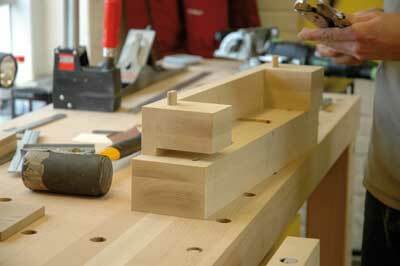 We chose the shorter 350mm length to keep the bench overhang shorter." 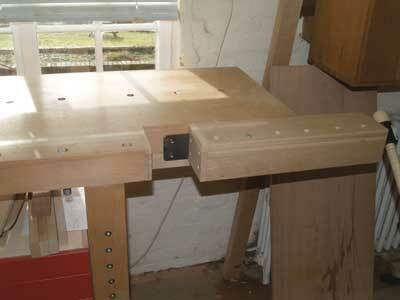 9 Here it is reversed and being trial fitted. 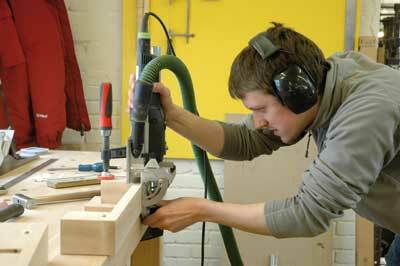 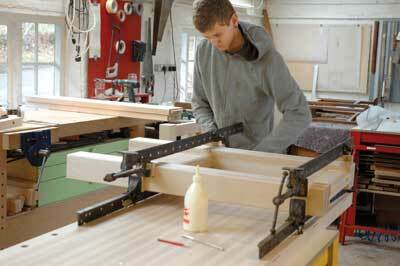 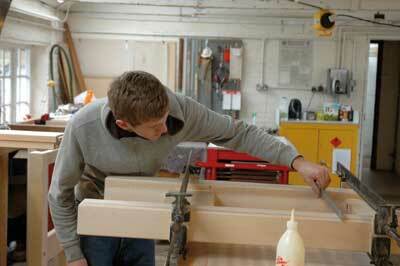 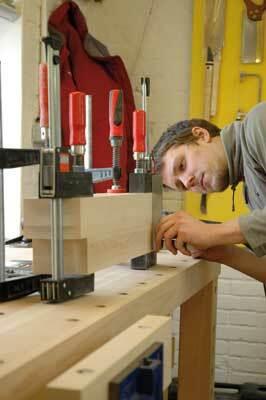 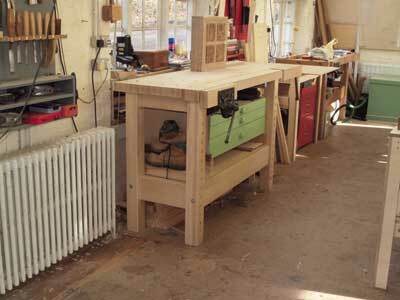 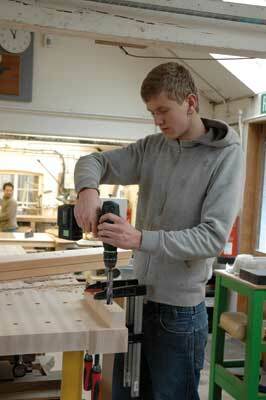 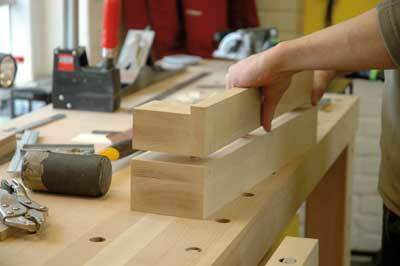 "Working on their own bench is a good experience for our apprentices"